Staff was very easy to deal with, getting in contact with everyone needed was instant, flexibility with the time frames I needed was never an issue, all together it was an enjoyable transaction. We found our new vehicle online and Brad and John made it so easy to set everything up for the purchase via phone and emails. They answered all of my many questions at all hours of the day and evening and worked with me to get my payments within my budget. I would highly recommend Davis to anyone looking for a new vehicle. "Great service with finding a truck"
Darrell looked hard for a truck for me, and had it brought in for me to look at. It was what I needed so I was very pleased. John got all the book work organized and had it ready in 2 days. Went to pick it up and Bradly showed me the in and out's of the truck put it in my terms. Brad and John were friendly, knowledgeable and helpful. When making a major purchase, I don't care for high pressure sales tactics. Both gentlemen provided accurate information from which I could base my decisions, without making me feel pressured. At this time, I have only had my vehicle for less than a week. With all the new 'technology' in the vehicle, I am slowly going through the process of learning all the 'bells and whistles.' Brad has encouraged me to come back at any time with any questions about my new vehicle. I saw a used vehicle that I was interested in on their website and sent an e-mail expressing my interest. Received a reply from Bradly shortly afterwards. Went with my wife to look at the vehicle and was very impressed with Bradly's approach, very amiable with a no pressure tatics to buy approach. 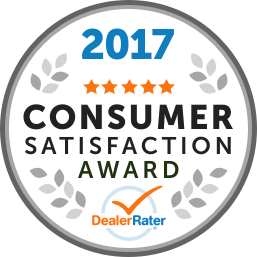 We bought the vehicle the same day and was so impressed by the service we received. 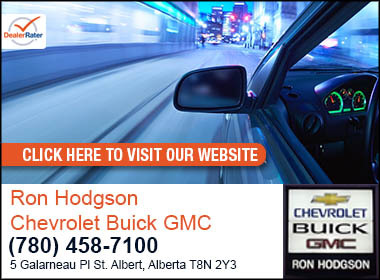 We would recommend them as the place to go if you are looking for a vehicle. Brad listens very well I gave him a list of what I wanted, asked for a cash price we met the next day he had done his homework the truck met all I wanted he had a reasonable price we had a deal. 5 days later I took delivery again treated great met several employees all friendly. Hope the truck is as good.